Photos by Angi Welsch and Gabe Sullivan. YES. 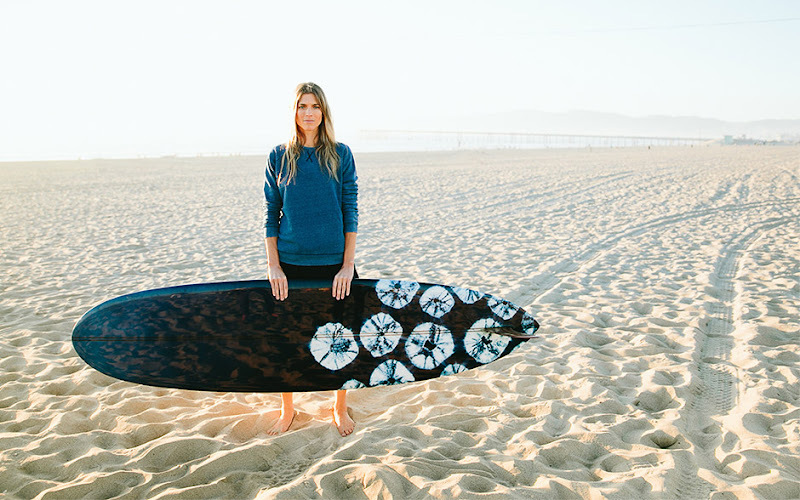 Almond Surfboards out of Newport Beach just launched their first women's collection. 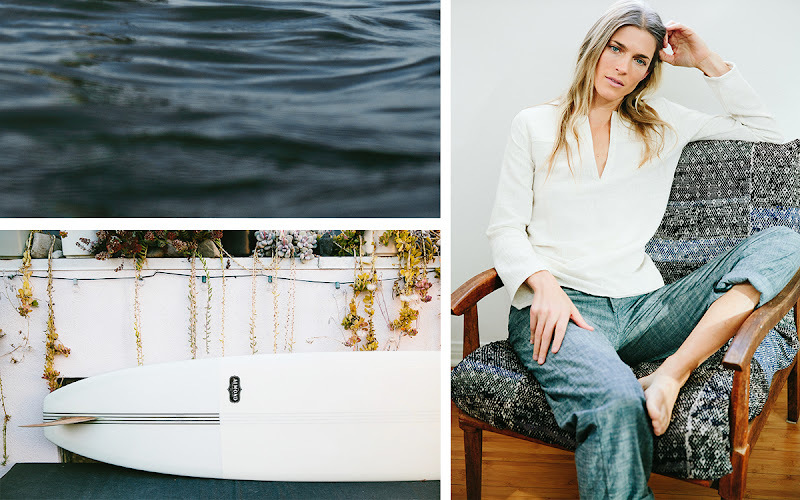 I've been a fan of the simplified and sophisticated surf brand since its launch and had wished, as I often do, that they had a women's line. Now they do. 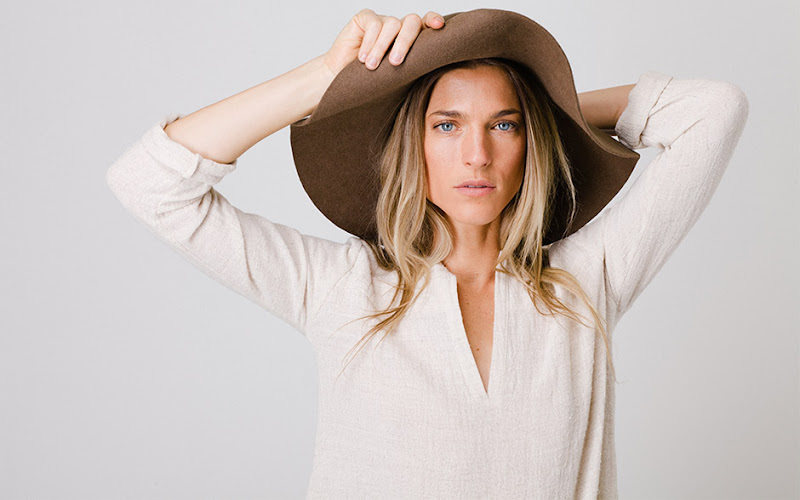 Creative Director Chad Cress said he was getting a consistent message from the women that were buying surfboards from Almond (and sometimes the men's tees and wovens too) that they needed some Almond clothing in their lives. 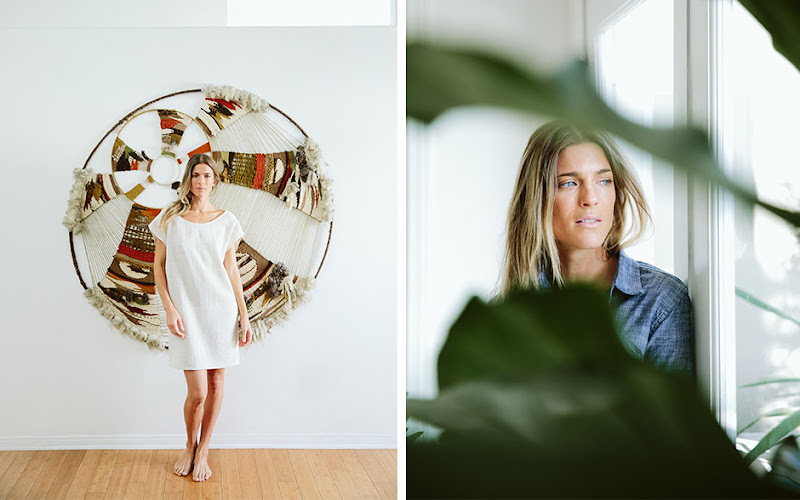 Designer Heather Heron was brought on to the task and the result is a big wow. 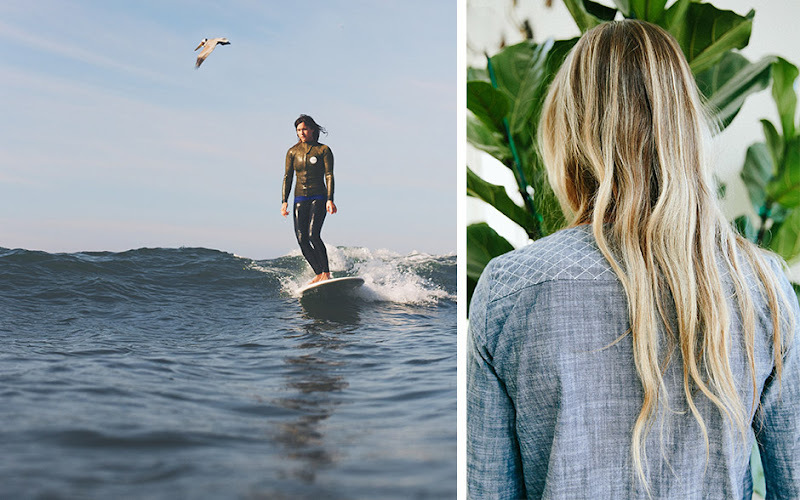 The Almond women's line thankfully doesn't scream surfer girl, but instead provides timeless year-round styles for a sophisticated female surfer. 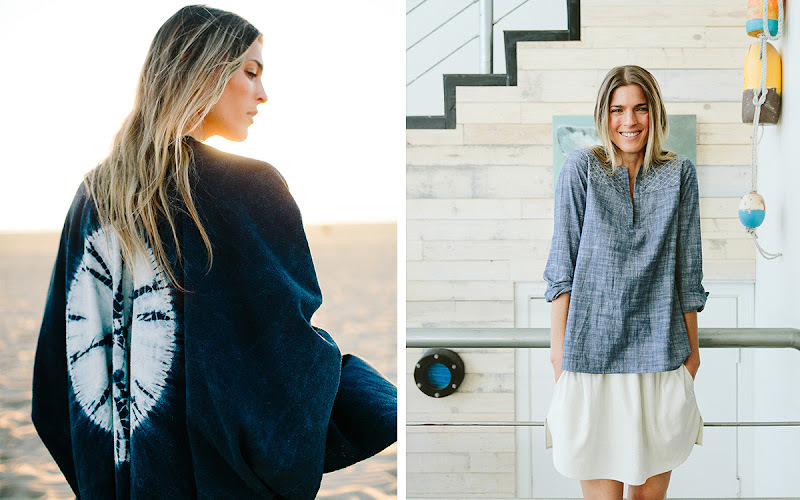 From the Shibori-dyed sweatshirts to chambray button-downs, count me most definitely in. I love it all. Most price points are under $100 and each piece is made in California. Pre-orders are available for late April shipping. how beautiful. Those photos are so airy and beachy and inspiring. I just love them. I've never been surfing (heck, i've never even seen the ocean) but i would just LOVE to go sometime. Wow--that first surfboard is a beauty. Beautiful. If only they made tall sizes! That poncho/cape/kimono number is unreal. So good! I would throw out my wardrobe for that collection. This is why I love your blog so much. I can't wait to add some of these peices to my wardrobe, they totally fit my vibe... and i probbly woulda never discovered them unless you posted! so thanks!! More beautiful made in California things. I love it. Got to get one of those chambray blouses. Perfect! 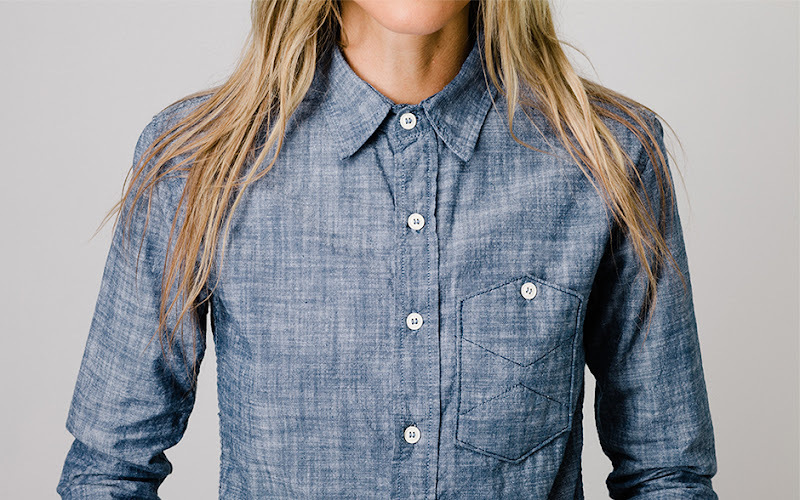 I could see myself wearing that Dover skirt every single day of the summer, and the chambray buttondown is perfection! I love that it is all made in CA! Thanks for this terrific tip, I just made a pre-order. Can't wait!